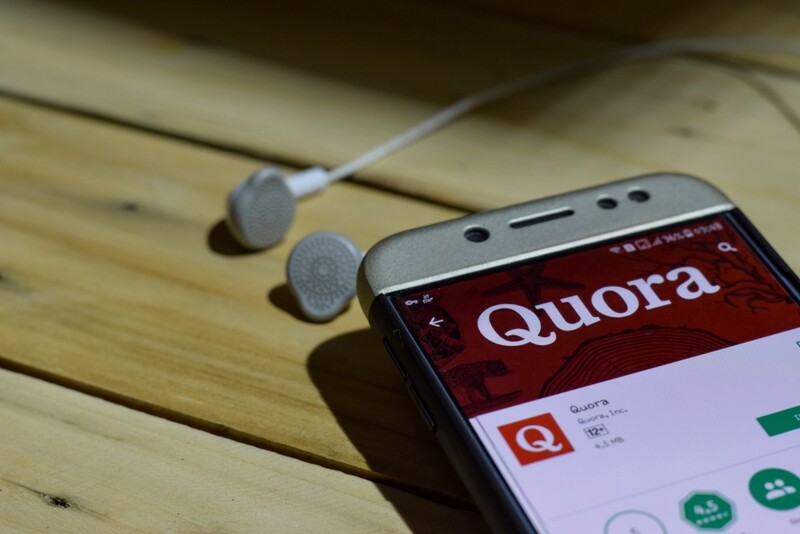 Quora recently launched a new feature, “Spaces,” with the idea that it will them help form professional communities inside the Q&A platform. I, for one, am incredibly excited about this. Through BAMF, I run a variety of online communities across various digital platforms, and I can tell you that there’s a huge need for this. LinkedIn groups, namely, don’t work well for what they’re designed to do — they have no moderation features and too many notifications to notice activity in your groups, to start. And creators across the web need a new place — like, hopefully, Spaces — to connect and collaborate. My hope is, ultimately, Spaces can even compete with Facebook groups. Here’s why I think it can — along with how professionals should use this new feature to their advantage. The value-add of engaging with Spaces is immediately clear. For one thing, you can actually tell it’s an area built for collaboration. LinkedIn groups are so generic that it’s hard to differentiate between them and, ultimately, use them effectively. Spaces, on the other hand, are accessible by way of a clearly designated tab inside the Quora platform and stand out clearly amongst each other. This makes Spaces more easily navigable — and, because of that, more valuable, as you spend less time figuring out where you are inside the platform. Plus, Spaces adds a clear new level of functionality to Quora which in effect utilizes the plethora of talented and successful voices who’re working on the platform. Now, as a Spaces manager, you can engage those writers and professionals in a way not strictly limited to the traditional Q&A format. For example, they can now post or share something inside a Space as an individual post; it doesn’t need to be tied to a user question. And the truth is, there are better writers on Quora to begin with. What Spaces does is give them a clear-cut better opportunity to collaborate. That’s one reason why creating this feature is such a brilliant move on Quora’s part; it amounts, essentially, to tapping into resources they already have. Start taking advantage of Spaces now by being among the first to create your own. Spaces is here to stay. But it’s still new. So what I’m encouraging people in my BAMF network to do is start actualizing value from the feature by starting their own Space. If you do this, you’ll be among the first to try it. And there’s always value in being first. For one thing, you’ll more easily garner buzz and attention around your Space, making it easier to recruit talented professionals into it. They’ll, in turn, bring more energy into your new environment, making it more likely you’ll be able to use your Space to create community and help all members improve. Second, you’ll more quickly figure out what sort of content works on Quora, as you’ll be able to pressure test inside your private area. Your Space members and participants can ask each other questions and team up, essentially, to produce better content and plan big initiatives. That has immense value on a personal level. Spaces has a shot to compete with Facebook. Ultimately, one goal of LinkedIn groups was to give professionals a space to collaborate, plan, share, and communicate that was on par with what Facebook offered. They failed. But that means the opportunity is there for another platform to pick up the reigns. Quora very well could be that platform. Now, Spaces likely won’t displace Facebook groups — and, in fact, they shouldn’t. What I plan on doing is using Quora Spaces to supplement my current cadre of Facebook groups and, in effect, expand my overall community of contacts and creators. I’ve tried doing that with LinkedIn groups, but it hasn’t worked all that well. I know I’m not alone there. But I’m confident that Spaces has the potential to be something truly great — for professionals, creatives, and readers alike. Quora Spaces Will Be Better Than LinkedIn Groups. Here’s Why was originally published in Marketing And Growth Hacking on Medium, where people are continuing the conversation by highlighting and responding to this story. Biz Tips: The biggest mistake I made in 3 years of online business. Biz Tips: Do university marketing degrees teach the skills modern marketers need?